A little more hip and trendy? 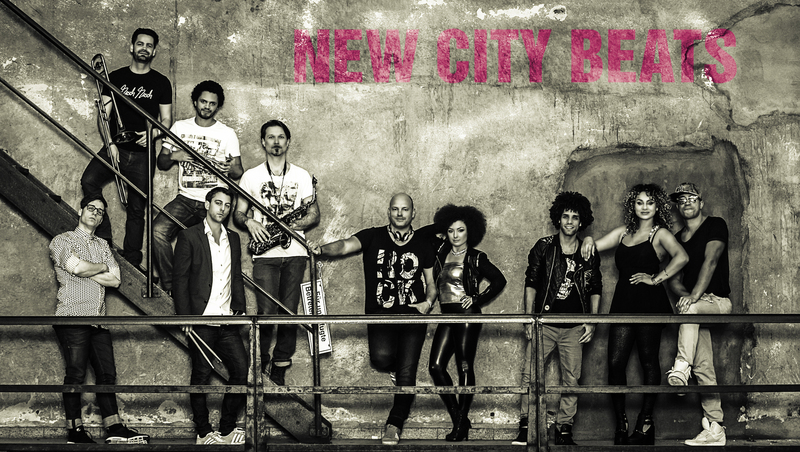 NEW CITY BEATS is a pool of international DJs, VJs, Musicians & Vocal Acts, who play at the top events in the international club and event scenery. The combination "DJ meets live acts" guarantees a unique show and performance and ensures a great atmosphere in the audience as well as on stage. Unique cross-over sounds interpreted in new versions with our vocals: Elli, Marvin, Jermaine, Kimberly & special guests. Our top DJs Olli Dierkes & Danial. Instrumental acts with percussions, the funky horn section & keys.